Spanning 56,000 acres, Lake Hartwell is a mecca for outdoor enthusiasts. 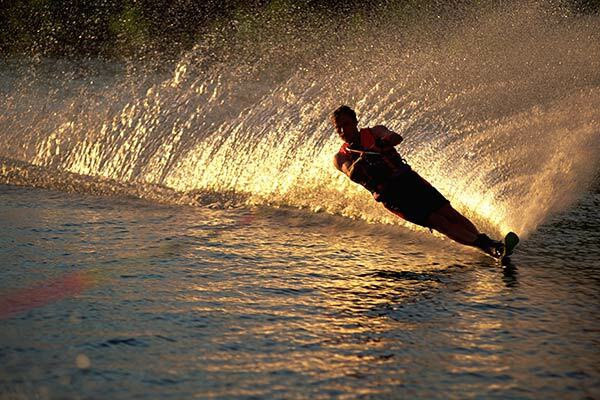 Boat, swim and water ski along 962 miles of picturesque shoreline. Hike scenic nature trails, while keeping a watchful eye for hawks, owls and other birds of prey. Fish for largemouth bass, stripers, crappie, bream, hybrid bass and catfish. With championship-level fishing, picnic areas, basketball courts and water sports, Lake Hartwell is a place where family memories are made. Are boats available for rent? Although there are no boat rentals available at the lake, visitors can rent watercrafts at Harbor Light Marina, located off exit 177 directly across from the park. For rates and other rental information, visit www.harborlightmarina.net. Are cooking grills available in the park? Lake Hartwell offers a number of grills and picnic tables in the day-use are of the park. Guests are also welcome to bring along their own grills if they choose. For a complete map of the lake and available picnic areas, click here. Wherever Life Takes You, Best Western Is There.® Each Best Western® branded hotel is independently owned and operated. ©2002-2016 Best Western International, Inc. All rights reserved.